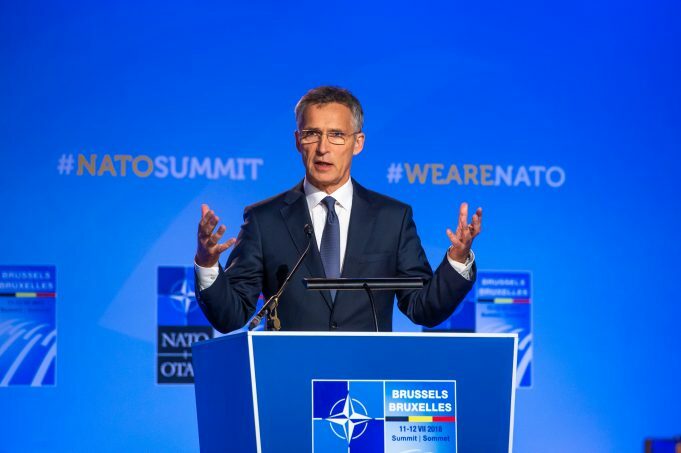 Recently concluded NATO Summit, held in Brussels on July 11 and 12 has brought numerous announced changes and political promises, and has partially demonstrated the spirit of community in light of the identified problems. This meeting was held in the atmosphere of transatlantic mistrust and uncertainty about the future of the Alliance, further enhanced by the abrasive statements of US President Donald Trump to the member states. Leaders of the Allied countries in the end nevertheless agreed to continue to strengthen the defense and the NATO’s system of deterrence, to step up their role in the fight against terrorism and hybrid threats, and most importantly, to begin to equally share the burden of the collective security financing. Secretary General of NATO, Jens Stoltenberg, while concluding the conference, said that the participants had a “good summit”, has pledged to increase NATO’s combat readiness, their capacity to move quickly across the Atlantic, to modernize the command structure, and to develop teams for cyber and hybrid threats. “All Allies have heard President Trump’s message loud and clear. We understand that this American president is very serious about defence spending. And this is having a clear impact – after years of decline, when Allies were cutting billions, now they are adding billions. Before, the trend was down – now, the trend is up” Stoltenberg said. Declaration of the Brussels Summit, issued by Heads of State participating in the North Atlantic Council meeting, Western Balkans region is estimated to be “of strategic importance, as demonstrated by the long history of cooperation and operations (conducted) in the region”. 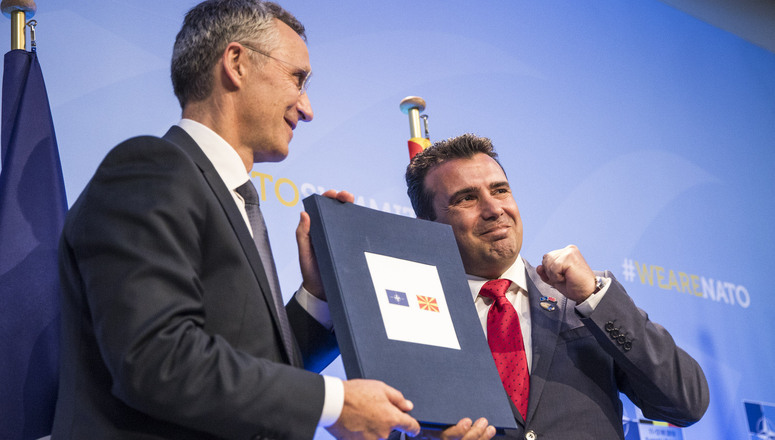 In addition, the Declaration announces that NATO’s doors will remain open, and that this is proven by inviting Macedonia to open accession negotiations with the Alliance as soon as the issues of the Constitution and the name are resolved. The “open door” policy, in line with Article 10 of the Washington Treaty, is rated as one of the Alliance’s biggest successes. “In line with our policy, we have decided to invite the government in Skopje to begin accession talks to join our Alliance. Full implementation of all prescribed internal procedures with respect to the agreement on the solution of the name issue is a condition for a successful conclusion of the accession process”, Declaration states, while comending the willingness of Macedonia and Greece to compromise. Researcher at the Belgrade Center for Security Policy Marija Ignjatijević says that the start of Macedonia’s negotiations for membership is the most important decision of this year’s Summit and states that in the coming period, before it becomes the 30th member of the Alliance, Skopje is expecting negotiations, final preparations for membership, then the signing of the accession protocol and its ratification in all NATO countries, and, at the very end, ratification in Macedonia. For Bosnia and Herzegovina, it was emphasized that the Alliance fully supports the aspirations of that country for NATO membership, that it is committed to its territorial integrity and sovereignty of a stable and secure Bosnia and Herzegovina, which has been commended for their contribution to the NATO-led operations. NATO Summit Declaration has also welcomed the strengthening of relations between NATO and Serbia, which was considered useful “for the Alliance, Serbia and the entire region”. “We welcome the continued progress made in building the NATO-Serbia partnership and support further political dialogue and practical cooperation to this end. We reiterate the need for continued progress in the EU-facilitated Belgrade-Pristina dialogue, which should lead towards a comprehensive normalisation of relations, including in the form of a legally binding agreement”, Declaration states. Political leaders have stated in their Declaration that NATO presence in Kosovo, primarily through KFOR and in cooperation with Pristina and the EU, contributes to the protection and security of the entire region, stressing that within the existing mandate, NATO will support the development of security institutions in Kosovo, pledging to “continue to support the development of the security organisations in Kosovo through the NATO Advisory and Liaison Team within the current mandate. The implementation of the enhanced interaction with Kosovo is progressing well in terms of dialogue and practical cooperation“. 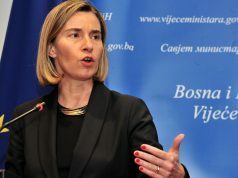 According to Marija Ignjatijević, point on security organizations should be also analyzed in the context of the statement made by the Deputy Secretary General of NATO Rose Gottemoeller, who on the eve of the Summit has stressed that NATO supports the process of reform in Kosovo, and thus the development of professional security forces. During the conference, Gottemoeller assessed that NATO “does not provoke Serbia” and is not forcing it to join NATO. “Partnership with Serbia, as well as the allies surrounding it can bring only good to Serbia, in terms of security, (political) and, most importantly, economic stability”, said Gottemoeller. 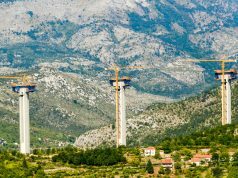 This means that the Western Balkans remains in the focus of the Alliance, and that the policy of cooperation and respect for Serbia’s decisions regarding military neutrality continues, as confirmed by the Senior NATO official for Russia and the Western Balkans from the Department of Public Diplomacy Robert Pszczel. 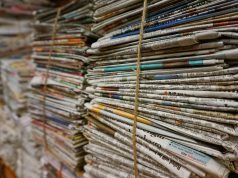 Speking for the for Serbian daily newspaper “Politika”, Pszczel said that Serbia is a stable country and stressed that NATO supports what Serbia is trying to do in order to establish good relations with its neighbors. He has also praised the current relations between Serbia and NATO. “It’s a partnership in which the opportunities are not even close to being exhausted. I am very optimistic – not just myself, but also NATO leaders, and I would say allies,” Pszczel said.